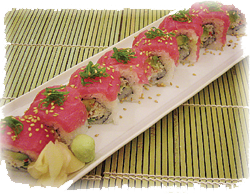 Deliciously Cut Tuna On Top Of The Famous California Roll! Come Try Our Hawaiian Roll Today. Celebrating A Special Occasion? 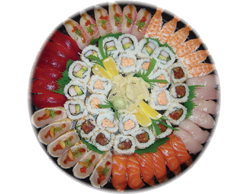 Let Sushi Island Cater To Your Needs By Creating A Custom Platter That's Perfect For You! 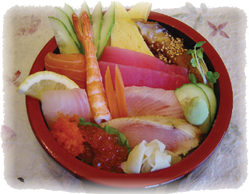 Our meals are made to order. Please phone ahead to shorten your wait time.